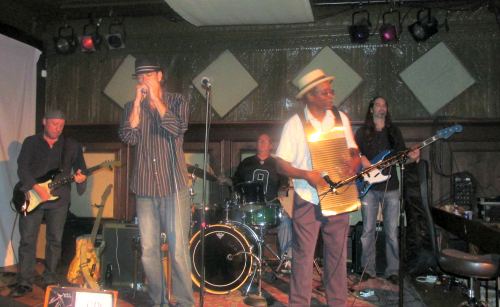 "Washboard" Chaz Leary sits in with the Andy J. Forest Band. In an in-depth study of post-Katrina New Orleans, emeritus politics professor Michael Urban explores how music is intertwined with the city’s community-rebuilding efforts. “New Orleans rhythm and blues, like any music, has the capacity to generate community,” Urban writes in New Orleans Rhythm and Blues After Katrina: Music, Magic and Myth (Palgrave Macmillan, 2016). Through 56 open-ended interviews with music journalists, producers, promoters and, of course, some of New Orleans most prominent musicians (including Davis Rogan, the inspiration behind the HBO’s "Treme" character, Davis McAlary), Urban explores the distinctive subculture of the New Orleans music community and finds an ethos that subordinates individual achievement to group effort, both musically and socially. For more than 40 years, Urban’s research focused on Russian politics, concentrating on the fall of the communist regime and the state and social issues that followed. He also studied the emergence of a rhythm and blues culture in Russia. “I have long been enchanted by New Orleans. It was a (big) easy decision,” Urban said about his switch from Russia to Louisiana. Urban discovered that Katrina left both scars and opportunity, with rhythm and blues tradition fundamentally altered. “The soil in which that tradition has been rooted–namely, in the working class and poor African-American neighborhoods with their corner juke joints, backyard get-togethers and second-line street parades–has been largely scattered to the winds,” Urban writes. Hurricane Katrina displaced more than 100,000 residents, mostly from poor and working-class neighborhoods where rhythm and blues took root. “The bulk of that population has been deported and effectively denied the right of return. Many of its neighborhoods have been demolished; its institutions supporting music–social and pleasure clubs leading street parades, the corner juke–have been decimated,” Urban says. The city’s musical tradition is a fundamental part of the New Orleans narrative and community, Urban argues. The musical heritage, distinctive legacy, and place in revolutionizing popular music hold a special place in the city’s cultural landscape. He represents this narrative as a myth that is embedded in the cultural community. “New Orleans has come to represent a sacred site in which mythic time prevails, informing the everyday present with a sense of an epic past,” Urban argues. Urban describes how the recovery and redevelopment of New Orleans inevitably altered the local music scene. While new investment from across the country helped recovery efforts, the new wave of gentrification changed the local economy. Post-Katrina, many musicians have experienced a shift in how their music has been played and paid. Now, making money has become a more pressing necessity for musicians, and commercial relations have begun to supplant the force of cultural traditions as regulators of conduct. For example, due to local government’s expanded reach into the community, the city is no longer home to juke joints and corner bars where R&B is played. Yesterday’s small proprietors who are now required to obtain liquor licenses and insurance have been largely driven out of the market, says Urban. Low pay forces musicians to expand their mastery of styles, prompting them to play in multiple bands and appear on as many sub lists as they can. This new arrangement frequently brings together individuals previously unknown to one another that over time, “everyone plays with everyone” one of Urban’s sources reports, forging and reinforcing the bonds of community on a daily basis. 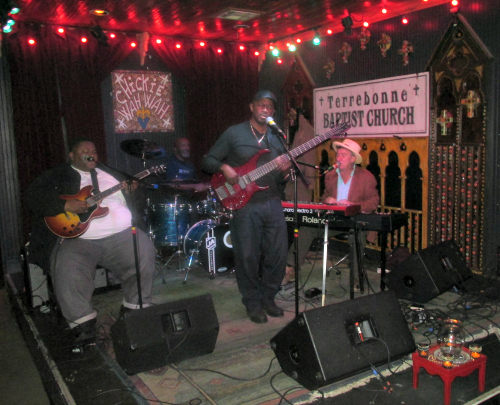 As Urban shows, New Orleans rhythm and blues remains a vital cultural idiom, with musicians retelling and reshaping the city’s musical legacy. New Orleans Rhythm and Blues After Katrina: Music, Magic and Myth is testimony to the distinct space and place it holds in American life.